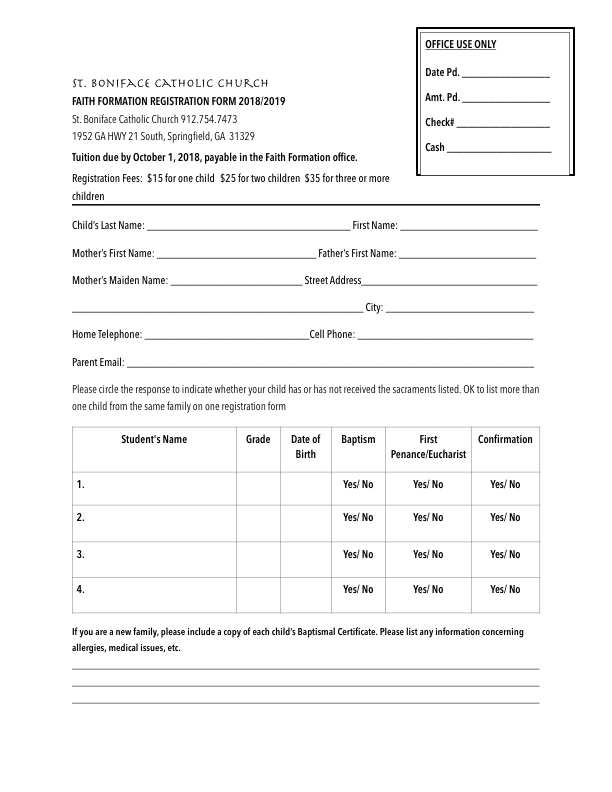 Attached is the Faith Formation Registration form in PDF format. You may download, fill out your information then email to dre@sbcatholic.com. Alternatively, you may print, fill out the form and drop it off at the Parish Office. Note: Faith Formation classes have started on Aug 5! Still time to register your children!